School media provider Follett has launched pre-built, standards-aligned collections that have been curated from open educational resources (OERs). The new "Classroom Ready Collections" include lesson plans, activities, videos, interactives and worksheets that are searchable in Follett Destiny, the company's school library management service. 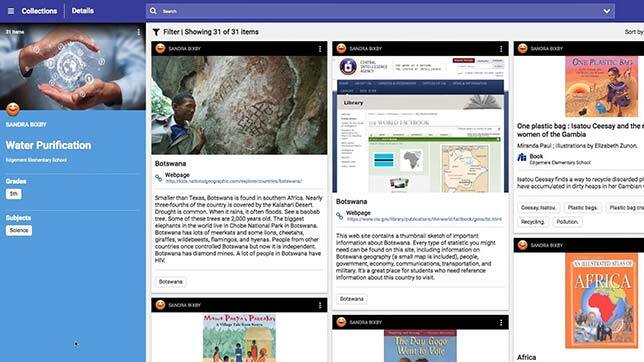 Follett curators have reviewed student and teacher materials available online and organized them into respective collections by learning standard. The idea of the new collections is to save teachers and librarians time doing the searching themselves for ideas, webpages, images, documents, videos and ebooks. Current topics cover science, social studies and English language arts for elementary, middle and high school students. The company said each night the links provided through the collections are checked to make sure they're "still active and appropriate for users of all ages." In a case study about its use of the collections, James Monti, director of education reform, compliance & technology at West Warwick Public Schools in Rhode Island, said the service has supported district collaboration efforts. "Educators can add resources to a collection, and then we have deep discussions as to how they enhance the instructional opportunities we're trying to provide our students," he wrote. "It brings transparency and honesty into the farthest corners of our classrooms. In fact, our conversations around student achievement can be discussed at the resource level. We get to have powerful conversations about a specific resource and how it does or doesn't support engagement with our learners." Suzy Ferrell, director of library media services for Clear Creek Independent School District in Texas said she was "excited" about the launch. "As librarians, we understand and appreciate the amount of time it takes to curate materials, so we are excited that Follett has a team of specialists who are leading the way and working to support classrooms and libraries with digitally curated resources," she said in a statement. Classroom Ready Collections are available as a subscription service through Destiny Library Manager (version 15.0 or newer). The company said that school-wide multi-user access pricing begins at $150.